In the most thrilling fantasy of the year, a young girl must pretend to be a boy to rescue her brother from a secret order of monster hunters. 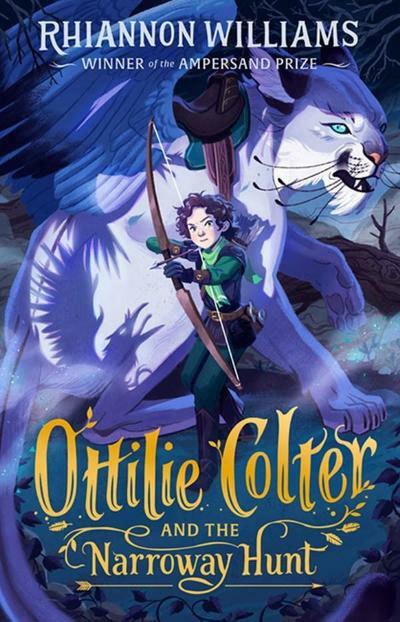 Ottilie Colter and her brother, Gully, have always fended for themselves. So when Gully goes missing one night, Ottilie sets out to find him - and soon makes a horrible discovery. Gully has been forcibly recruited by the Narroway Hunt, a secretive male-only organisation that hunts savage, blight-spreading monsters called `dredretches'. Disguising herself as a boy, Ottilie infiltrates the Hunt - but quickly realises that taking her brother home won’t be easy. Trapped in the heart of the dredretch-infested Narroway, it’s impossibly dangerous for them to leave. But as she trains to become a Huntsman alongside her brother, hoping for a chance to escape, how long can she keep her true identity a secret? From Rhiannon Williams, the first ever middle-grade winner of the Ampersand Prize, comes book one in this bewitching trilogy about friendship, bravery and having the courage to do what’s right. Perfect for fans of Withering-by-Sea by Judith Rossell and A Most Magical Girl by Karen Foxlee.